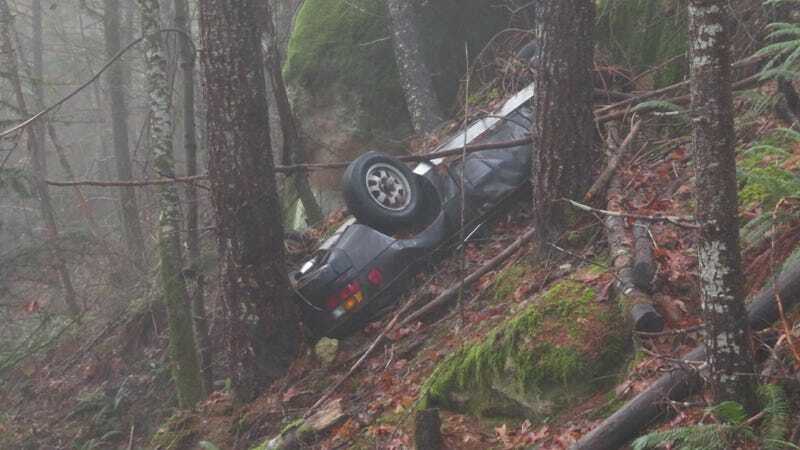 A 1979 Porsche 924 stolen from a Medford, Oregon, parking lot in 1991 has finally been found at the base of a cliff southwest of Crater Lake, reports KOMO. From the looks of the car, it certainly didn’t have the most pleasant trip down there. It’s always sad to see such pointless Porsche-struction like this, but at least this car was finally found—albeit in pretty bad shape. 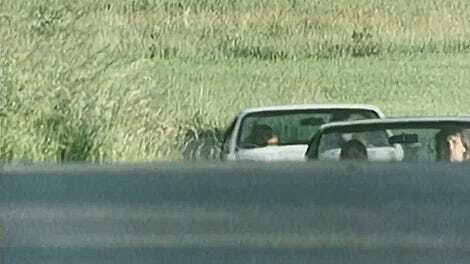 A man spotted the wrecked car Tuesday afternoon after following his dog off Abbott Prairie Road. The crashed car was about 40 miles from Medford. The vehicle’s final resting place at the base of a cliff kept it mostly hidden from view from the road above. The sheriff’s report said that no human remains were found near the vehicle, however, as the only bones they found close to it were those of a deer. Please, at least think of the environment before wrecking your stolen Porsche next time and just ditching it for 27 years, you inconsiderate thieves. Oh, and maybe don’t steal the Porsche in the first place. This is senseless Porsche violence at its worst.